Clients who come to psychotherapy unmotivated, or who become discouraged as treatment progresses, pose a singular challenge to practitioners. Despite the central importance of motivation for the therapeutic healing process, little has been written that addresses this issue. 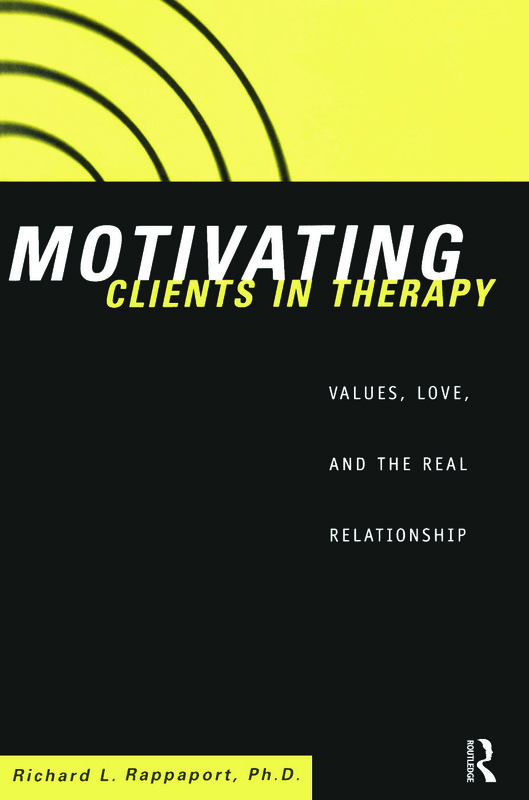 Motivating Clients in Therapy questions the widely accepted assumption of the adequately motivated client. Richard Rappaport presents a four-phased model of motivation that emphasizes the fear of loss of what is known and familiar as the central inhibitor to personal growth. The motivation to love oneself and others must by catalyzed by an active psychotherapy relationship. Rappaport offers therapists a practical and theoretical guide to increase treatment effectiveness with a wide variety of clients.